Do you like buffets? Who doesn’t! Well, how about a book buffet…? 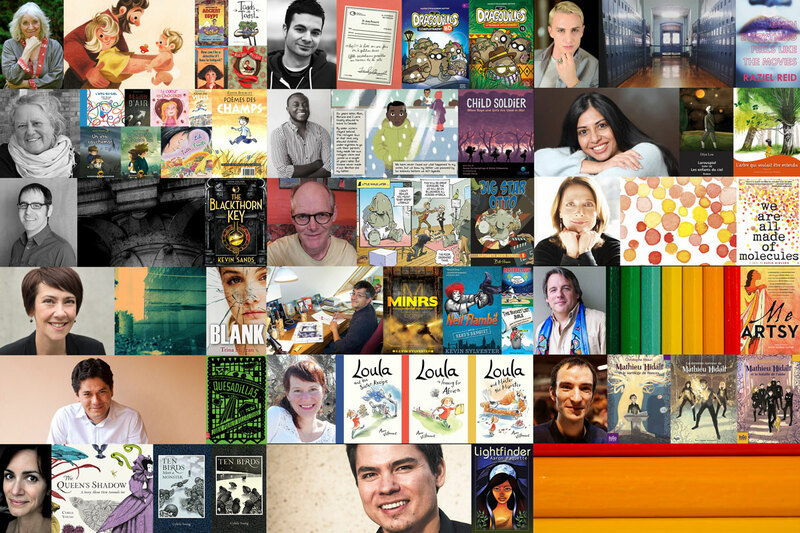 This coming Tuesday, May 12th, I will be joining 8 other Alberta authors at the Young Alberta Book Society’s Smorgasbook event. It’s an exciting buffet of literature where you get samples of talks and readings by all these awesome writers (I mean the other ones, not me of course. That would be weird). It’s free with a food bank donation. Go to the evite to view details and get a “ticket”. 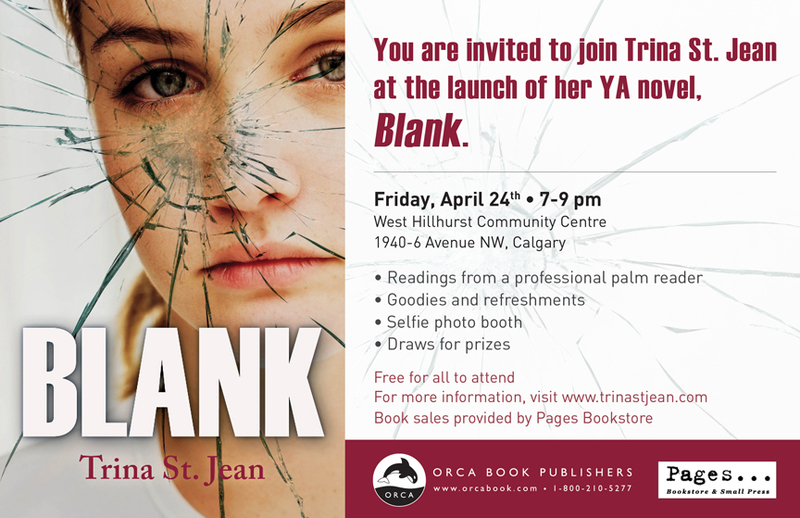 The official invitation for Blank’s Book Launch Party is ready! Visit HERE to RSVP. 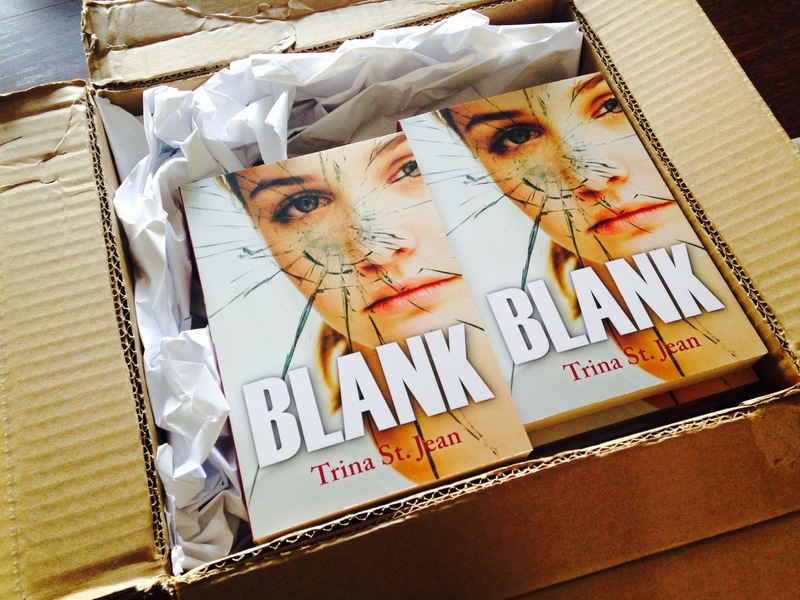 These are my author copies of Blank, fresh off the press. Pretty snazzy, right? And surreal and exciting. It’s a lifetime of dreams all contained in one little box. My girls get off the school bus in half an hour, and I think we will have to put on Uptown Funk and bust some crazy moves around the house. Want to join us? Youtube it! I have just finished the final edits on Blank, so it’s now going through copyediting at Orca. The cover is also being designed, which is super exciting. I’ll share it with you as soon as I can.